"A resolution to Greek debt negotiations may reduce downside risks, but a weak currency is needed to underpin the recovery...If anything, the risks to monetary policy are for additional QE as the current ECB forecasts are based on a full implementation of the existing program," ANZ argues. "We therefore continue to see downside risks for the euro against the USD, especially as US growth is firming again and the FOMC seems closer to starting the interest rate normalisation process. We continue to advise selling rallies in EUR/USD," ANZ advises. EUR/USD: No change. We are bearish and prefer to fade upticks against resistance in the 1.1300 area. A move below 1.1135 would signal lower towards our targets near the 1.1050 area and then the 1.0815 May lows. Our greater downside targets are at the 1.0460 year-to-date lows. 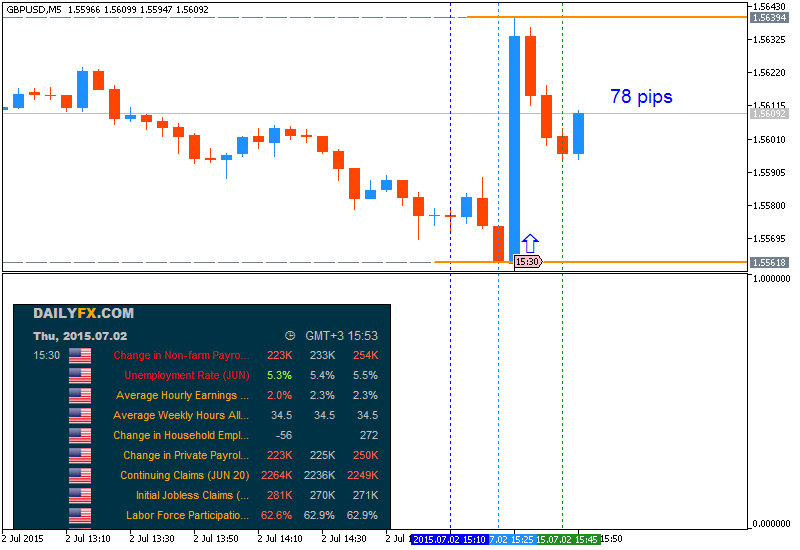 GBP/USD: Thursday’s bullish engulfing candle has encouraged us to re-instate our bullish view. We are looking for a move back towards the 1.5930 range highs. Above there would confirm upside towards our greater targets near 1.6000 and then 1.6200. AUD/USD: No change. We are bearish against the 0.7850 recent highs and look for a move lower towards targets near 0.7600 and then the 0.7530 year-to-date lows. Further out, we are targeting the 0.7100 area. USD/CAD: Our bullish view would be encouraged by a break above 1.2425. Our initial targets are towards the 1.2565 June highs and then the 1.2835 year-to-date highs. Last edited by 1Finance; 06-27-2015 at 04:34 AM. Whether or not the USD can continue its recent streak will almost certainly depend on the outcome of ongoing Greek negotiations and highly-anticipated US labor market data. 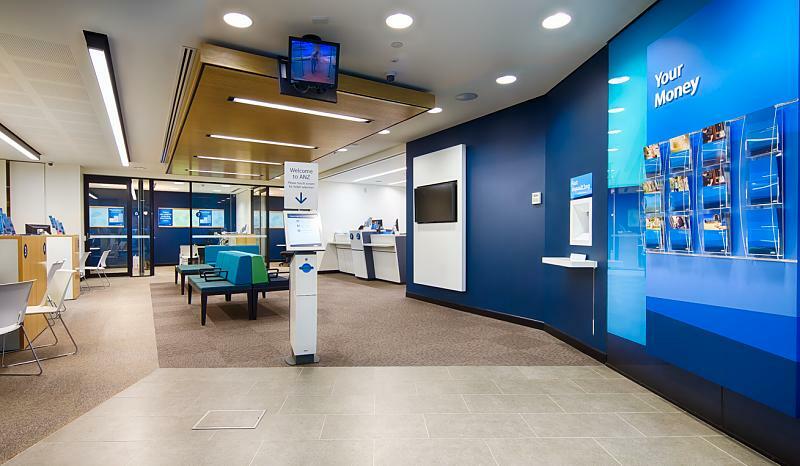 The Australian Dollar is likely to fall in with sentiment trends as Greece debt negotiations and US economic data drive market-wide risk appetite. Stronger UK Recovery to Fuel Bullish GBP Outlook – BoE Hike in August? 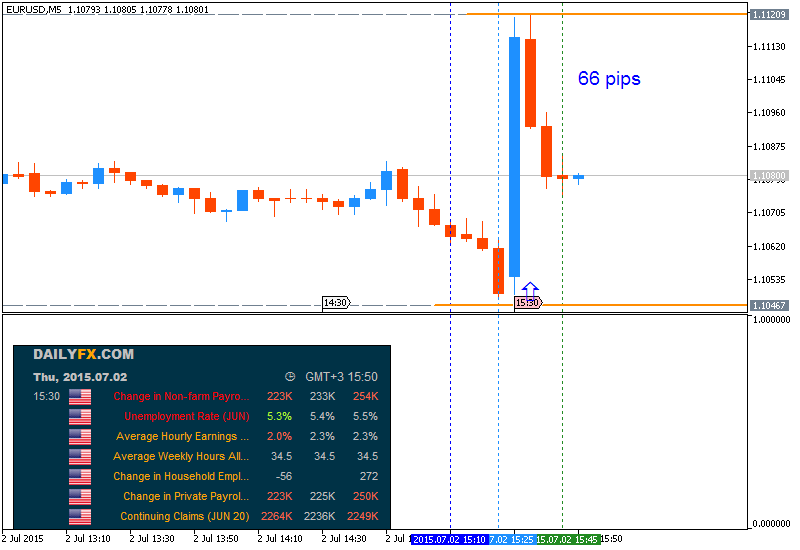 EURUSD was watching Greece very carefully with contrasting news causing confusion. The story became more dramatic after markets closed with the announcement of post-deadline referendum. In the last and busy week of H2, we have important inflation numbers and PMIs. Here is an outlook for the highlights of this week and an updated technical analysis for EUR/USD. The reported breakthrough in the Greek crisis on Monday did not last long as the skies darkened on Wednesday and Thursday. New hopes for a deal on Friday still lacked a few key factors. The euro has been reacting to the headlines, but often falling on good news. One reason is the refocusing on monetary policy divergence, that favors the dollar, and the other is that the common currency has become a funding or even a “safe haven” currency. But, in case of a “Grexit” or a “Grexident”, it is clear that the euro would plunge that is already worrying some brokers. The most recent development was the announcement of a referendum on the rejected proposals. This is planned for after the deadline, assuming that the Eurogroup approves a temporary extension of the deadline, which seems unlikely as of Saturday at noon. And, the referendum law still has to pass in the Greek parliament. The crisis has overshadowed data, which has been balanced: better than expected PMIs but a weak IFO read. In the US, figures have been more positive than negative, with home sales leading the way ahead of a busy but short week in the US. Greek crisis events: Eurogroup meeting on Saturday at 12:00 and ongoing talks all the time towards the June 30th deadline. This is when the current extension of the bailout expires, and also when Greece has to pay the IMF – payments it “bundled up” in early June. In the meantime, Greek banks lack cash and they depend on the now daily decision of the ECB. The ECB uses its Emergency Liquidity Assistance tool to lend money to the banks. 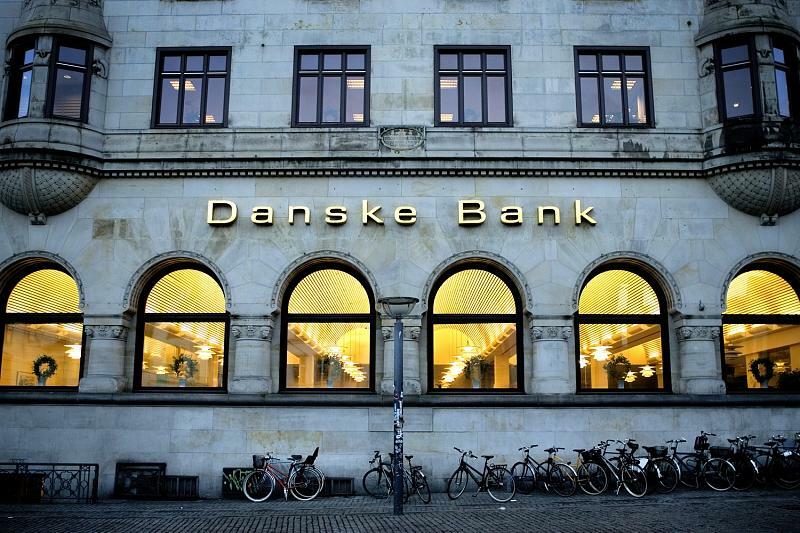 In case of no deal during the weekend and no additional ELA, banks could remain shut on Monday. At the time of writing a 5 month extension was discussed, but things are extremely fluid. Markets would cheer any resolution that puts the topic to sleep, even if it is merely another can kicking exercise. More: 3 EUR Scenarios Our Greek Playbook– Morgan Stanley. German CPI: Monday, during the morning with an all German publication at 12:00. Inflation is beginning to show signs of recovery from the lows. In May, prices beat expectations and CPI advanced 0.1% m/m, as oil prices stabilized in recent months. The initial number for June will likely show a rise of 0.2%. Spanish CPI: Monday, 7:00. The euro-zone’s fourth largest economy is one of the countries that suffered most from deflation, but this is beginning to wane off. After a y/y fall of 0.2% in May, we could see a better number in the preliminary read for June: -0.1% is on the cards. German Retail Sales: Tuesday, 6:00. The zone’s locomotive has enjoyed a big rise of 1.7% in the volume of sales in April,, but this may have been skewed by the Easter holiday. A modest rise of 0.3% is on the cards now. French Consumer Spending: Tuesday, 6:45. After a big fall in April, consumers in the continent’s second largest economy picked up spending in May with a rise of 0.1%. Another advance could be seen now, worth 0.3%. German Unemployment Change: Tuesday, 7:55. Unemployment is falling in the continent’s largest economy, but the drops have been smaller in recent months. After a drop of 6K unemployed in April, a similar number could be seen in May: -5K. The employment numbers have a political impact. Flash CPI: Tuesday, 9:00. After a long period of extremely low levels, core inflation finally picked up in May and reached 0.9% y/y. Headline inflation, which is the ECB’s target, stood on 0.3% y/y, and the numbers are still affected by the fall in oil prices. A moderation is expected now, with a 0.2% rise in CPI +0.8% in core CPI. Unemployment Rate: Tuesday, 9:00. Contrary to German unemployment, the situation in the broader continent are less encouraging. A level of 11.1% was recorded in April, a small improvement in comparison to previous months. No change is expected. Manufacturing PMIs: Wednesday morning: Spain at 7:15, Italy at 7:45, the final number for France at 7:50, final for Germany at 7:55 and the final all-European number at 8:00. Spain continued enjoying significant growth in May according to Markit’s indicator, with 55.8 points in the manufacturing sector. A slide to 55.6 is expected for June. Italy, the zone’s third largest economy, was a bit behind with 54.8 points in May and 55.2 is predicted now. The preliminary number for France showed 50.5 points in June, finally in growth territory. Germany enjoyed 51.9 points and for the whole euro-zone the number stood on 52.5 points. All three figures will likely be confirmed now. Spanish Unemployment Change: Thursday, 7:00. Spain suffers one of the highest unemployment rates in the euro-zone, but the monthly changes in the number of unemployed are encouraging, even if they are impacted by seasonal factors related to tourism. A drop of 118K was seen in May and another fall is on the cards for June. PPI: Thursday, 9:00. Producer prices dropped by 0.1% in April, worse than expected, and showing that a real pick up in inflation is still a long way coming. A small rise of 0.1% is estimated now. ECB Meeting Minutes: Thursday, 11:30. In the latest press conference, Draghi was quite calm on the QE program and saw no need to front-load bond buying or react to volatility. We will now get an inside view on the internal talks within the Governing Council. What do the members foresee for the rest of the year? Services PMIs: Friday morning: Spain at 7:15, Italy at 7:45, the final number for France at 7:50, final for Germany at 7:55 and the final all-European number at 8:00. In May, the 58.4 score for the Spanish services sector reflected very strong growth, standing out from the rest. Did this continue in June? A score of 58 is predicted. Italy saw modest growth at 52.5 points and 52.9 is on the cards now. The initial French number for June was upbeat with 54.1 points, Germany saw 54.2 and the whole euro-zone at 54.4 points. The last three numbers are expected to be confirmed in the final read. Retail Sales: Friday, 9:00. April saw a rebound in consumers’ activity, with a rise of 0.7% in the volume of sales, countering a drop of 0.6% seen in March. Despite being released after the German and French publications, the all-European figure has a significant impact. A rise of 0.2% is predicted now. 'We remain of the view that a solution can be found in order to give Greece access to funds to repay the IMF next Tuesday. The EUR, however, is unlikely to face any material upside in an environment of strongly capped ECB monetary policy expectations. If this is confirmed over the weekend, we suspect that USD could emerge as the biggest beneficiary and expect it to extend its gains against a broad range of G10 currencies. While a relief bounce in EUR cannot be excluded, we doubt that it will be sustained and expect renewed weakness especially against risk-correlated currencies and USD. The risks to the above view have clearly grown of late, however, and we think that caution is warranted ahead of the talks over the weekend. USD. Next week’s labour data should keep Fed rate expectations supported to the benefit of the greenback. EUR. Regardless of any positive developments, related to Greece, we expect the EUR to remain subject to downside risk. This is due to the ECB’s aggressive policy stance. GBP. Wealth effects to aid consumer spending. With Eurozone financial problems likely to persist irrespective of any Greek deal, the superior UK economic outlook should continue to support GBP in the week ahead. JPY. Tankan unlikely to lift investor spirits. In keeping with the more cautious BoJ message expressed in recent weeks, key Japanese indicators this week should remain soft. 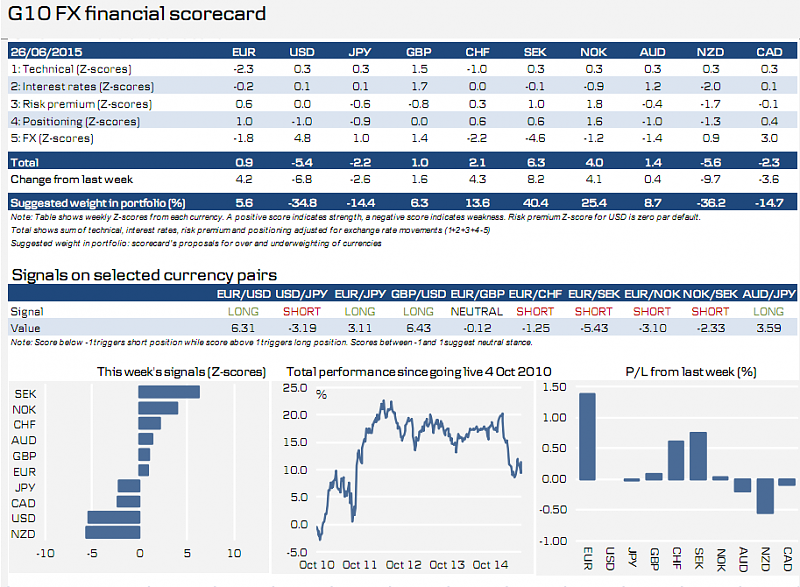 This week the scorecard recommends buying SEK, NOK and CHF, and selling NZD, USD and CAD (see suggested weights in portfolio in table below). The recommendation to buy the Scandies and the Swissie derives largely from last week’s dire performance (i.e. a mean reversion argument) and fits neatly with the likelihood that risk-off sentiment will dominate markets at the start of what looks set to be a chaotic week for Greece. NOK is also favoured due to positioning and the risk premium component. While the scorecard suggests selling USD this week due to technicals, last week’s price action and still stretched positioning, we note in relation to the latter component that IMM data actually suggests that there should be room to add to longs in USD as we are still some way off the highs for the year, see IMM Positioning: Still decent room for USD longs to be added. Last week’s signals resulted in a close to 2% gain. The short EUR position in particular performed well due to the sell-off in EUR crosses this morning as Grexit risk has intensified. Last edited by 1Finance; 06-29-2015 at 06:51 PM. "The Greek Referendum will drive headlines for the near-term. 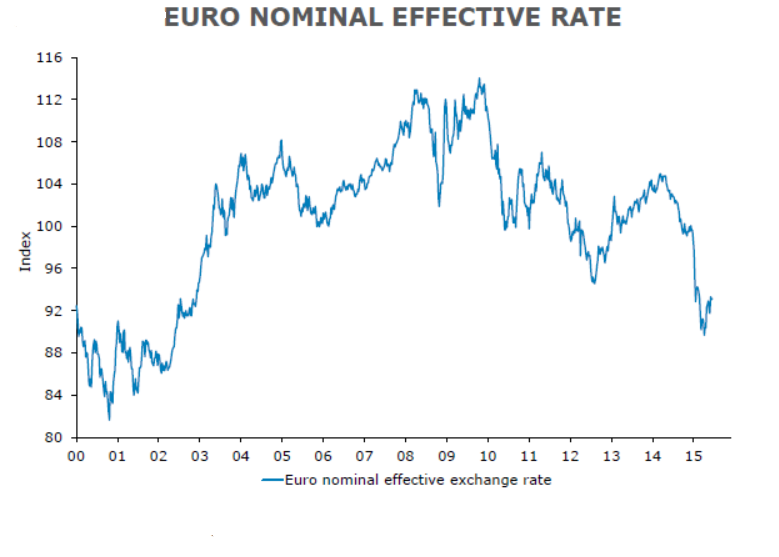 We believe that divergence of monetary policies is a more powerful EUR driver than Greek risks. In this context, the timing of the first Fed rate hike (September is our call) and the ECB’s tone (the market misread the ECB’s message to get used to volatility) are more important for the euro than Greek headlines. Whilst Greek headlines and deadlines are clearly urgent, and the market implications in our view both important and not priced in the short-run, ultimately the evolution of monetary policy is in our mind more important," BofA argues. "We remain bearish EUR/USD, but the uncertainty around the Fed is not bolstering our conviction levels. The euro’s reaction to Greek headlines has been puzzling, sometimes weakening in response to positive headlines for a deal. In part, this is because the USD is oversold. It can also be that the market does not believe that a deal will fully address Grexit risks, which in turn suggests that the ECB is likely to keep QE to be able to address periphery risks and push against a rates sell-off. This could explain the negative correlation between European equities and the Euro recently. Our view remains that tail risks in Greece are negative for the Euro," BofA adds. "We have marked-to market our Q3 EUR/USD projection, but keep our end-year projection to 1.00. This assumes that US data will improve in H2, the Fed will start hiking rates in September, the ECB will push against the recent sell-off in rates, inflation will remain below the ECB’s target path, and the market will start expecting the ECB to continue with QE after September 2016," BofA projects. "At the same time, we expect the Fed to push against any strengthening of the USD that goes beyond what data would justify. We do not expect Grexit in our baseline, but believe that Greek risks will continue weighing on the Euro, with Grexit risks increasing as long as Greece remains in a grey zone," BofA adds. Last edited by 1Finance; 06-30-2015 at 05:53 AM. Goldman: Change in Nonfarm Payrolls: 220K, Change in Private Payrolls: 213K, Unemployment Rate: 5.4%, Average Hourly Earnings: (0.1% mom). Deutsche Bank: Change in Nonfarm Payrolls: 225K, Change in Private Payrolls: 210K, Unemployment Rate: 5.3%, Average Hourly Earnings: (0.2% mom). BNPP: We expect another strong employment report, with total non-farm payrolls rising 250k and the unemployment rate dropping back to the cycle lows of 5.4% achieved in April. Our forecasts are better than consensus and, while expectations may have shifted higher in the aftermath of the strong ADP and ISM reports Wednesday, markets remain under-priced for Fed tightening and light on USD positioning. While a full adjustment to price in September lift-off might need to await the July 15 Yellen testimony or the July 29 Fed policy statement, we expect front-end rates to move higher in the aftermath of a strong release and the USD should follow. 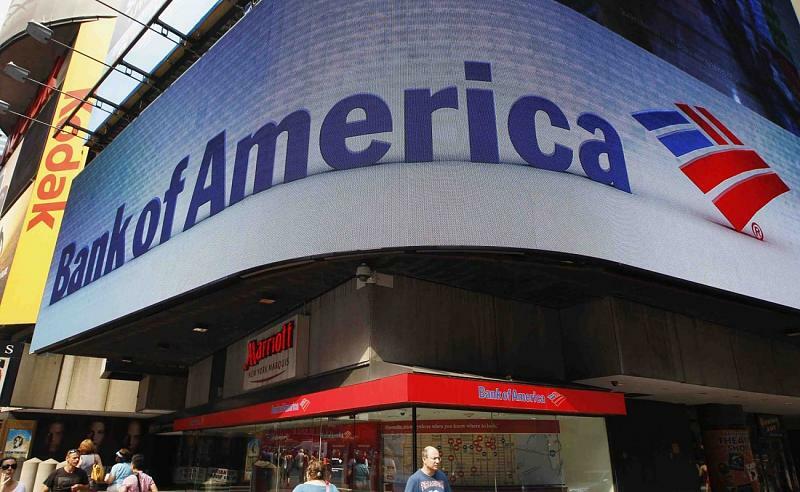 BofA Merrill: The employment report is likely to show another solid month of job creation in June. We look for job growth of 220,000, a slowdown from the 280,000 pace in May but consistent with the recent trend. As a result, the unemployment rate will likely lower to 5.4% from 5.5%. With the continued tightening in the labor market, we think average hourly earnings (AHE) will increase a “strong” 0.2%, allowing the yoy rate to hold at 2.3%. Within the components of the establishment survey, we expect private payrolls of 215,000 with the government only adding 5,000. 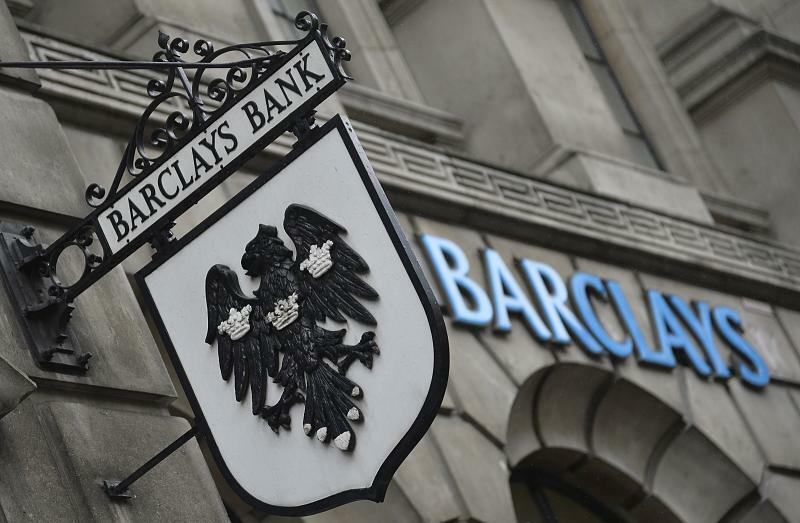 Barclays: We are forecasting a creation of 250k jobs, compared to the market consensus of 227k. This would push down the unemployment rate from 5.5% to 5.4% assuming the participation rate does not change materially. As in recent employment reports, the market will closely follow wage developments as a measure of labor slack and upcoming inflationary pressures. We and the market expect a y/y increase of 2.3% in the average hourly earnings. In this regard, we believe the USD will continue to be supported especially versus the EUR. SocGen: SG’s economists forecast a ‘steady as she goes’ 210K payrolls gain, with unemployment down to 5.4% from 5.5% and wage growth edging down to 2.2% on a calendar quirk. That’s a recipe for a quiet afternoon in FX but perhaps for a good one in equities. A “strong-ish” report (unemployment down to 5.4% and NFP above +250k) would not be enough to trigger risk aversion but would be mildly dollar supportive. Nomura: With US economic momentum continuing to pick up from the tepid growth in the first quarter, we forecast that the Bureau of Labor Statistics (BLS) will announce on Thursday, 2 July, that a net new 235k jobs were added to US nonfarm payrolls in June. This pace of job growth would be 45k below the 280k jobs gained in May but roughly equal to the previous six-month average gain. Credit Suisse: We expect a robust 240K gain in June payrolls. Employment growth is holding up well despite intense weakness in the oil patch and the slowdown in manufacturing. With job growth running well in excess of the trend in underlying labor force growth, we expect the unemployment rate to reverse last month's rise, moving back to 5.4%, in line with consensus. Credit Agricole: Consistent with the recent upbeat tone in US data CACIB looks for payrolls to rise 245k. This marks a mild slowdown from the previous month but still above consensus. That level is consistent with short-term trend in payroll growth with the 6mma running at 236k. Under the hood, CACIB looks for a modest slowdown in private service-sector jobs even though we look for manufacturing employment to rise. Nordea: We expect a 210k gain in nonfarm payrolls in June after the booming 280k rise in May. Recent labour market indicators including jobless claims suggest that the trend in payrolls is strong enough to continue to bring down the unemployment rate. Anything over 125k jobs per month will keep the rate trending down unless the participation rate starts increasing sharply (something we don’t expect). LIoyds: We expect a 235k rise in employment, while the unemployment rate is forecast to dip to 5.4%. Such an outcome would leave a September policy rate rise as still a strong possibility. There will also be considerable interest in whether average earnings growth continues to drift up following an unexpectedly strong rise in May. We expect the annual rate to be unchanged at 2.3%. Danske: We estimate that non-farm payrolls increased 230,000 in June driven by gains in service sector employment and construction. However, the jump in the employment component in yesterday’s ISM manufacturing survey coupled with the improvement in the Conference Board’s measure on the labour market suggest some upside risks to our forecast. Standard Chartered: With heavy attention on developments running up to Greece’s referendum this weekend, markets could use some positive news such as a strong US non-farm payroll report on 2 July (out a day early due to a US holiday). CIBC: It was back to the races for US payrolls growth in May, with the 280K gain more akin to the types of increases we were becoming accustomed to last year. However, the average for 2015 still shows somewhat of a slowdown compared with last year, which makes sense given recent productivity numbers and how low unemployment has gotten. We expect a good, but not so great, 202K increase in June. SEB: With respect to the current release, we look for 250k on the headline vs. consensus’ 230k, 240k on private employment and the unemployment rate to drop a tad to 5.4%. UBS: The June employment report is likely to show a continued healthy pace of job growth (forecast 230K) after the robust 280K rise in May. UBS expects the unemployment rate to correct accordingly to 5.40% but earnings figures and the inflation implications are becoming central to Fed expectations. Last edited by 1Finance; 07-02-2015 at 11:50 AM.